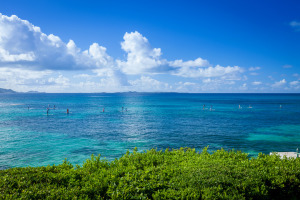 Planning a destination wedding on Anguilla? Even if you aren’t holding your ceremony or reception at Villa Alegria, the villa can be used as your island homebase. House your wedding party, special family members, or close friends in style. They will appreciate the ability to be together in one home, yet have enough space to spread out. And everyone enjoys the privacy of their own bedroom suite with private bathroom. 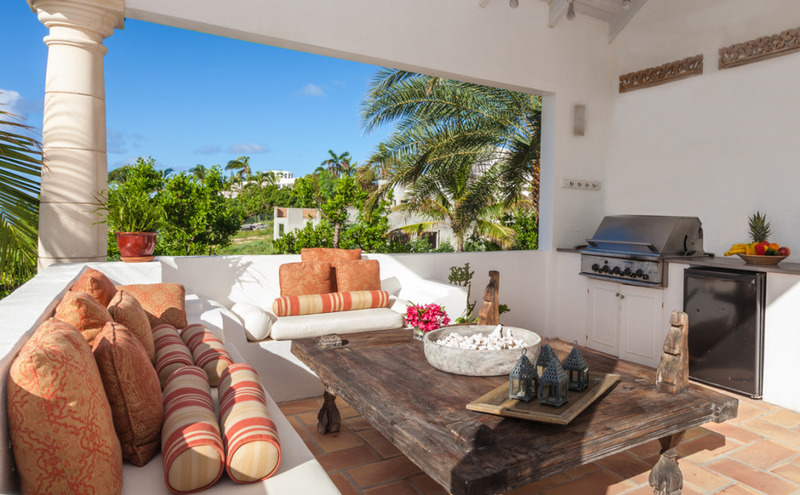 Have us stock the villa with food and wine so guests can help themselves, or have our concierge book our private chef. Guests can laze by the pool or stroll down to the beach, mere steps away down a paved path. Add an optional villa butler to cater to your guests at the villa, as well as ferry drinks, chairs and snacks between the villa and beach. Guests with children will appreciate being able to put their kids to bed upstairs, while they enjoy the party downstairs. We can also arrange cribs,extra roll-away beds and childcare. Best of all, you will stay the happy couple because you won’t be coordinating unnecessary logistics. Use the villa as your starting point for exploring the island. Our concierge can work with you and your guests to book excursions and plan itineraries. How about a golf outing for the wedding party at the Cuisinart Resort & Golf? Or charter a boat for fishing or a trip to the cay? Learn how to paddleboard or kitesurf. Or just head to the beach and as the locals, say “lime.” Our concierge can help coordinate the best transportation options for your guests from airport transfers, car, jeep and van rentals, to on-demand private drivers. Your guests can spend the day in the sun and surf, and return to the villa when they please. Reward your guests to some in-villa pampering. Feel the caress of the cooling trade winds as you relax with a massage in the shade of the pavilion on the back terrace. From facials to manicures to pedicures, you’ll feel refreshed from head to toe. Or bring in one of our fitness specialists for an early morning yoga session or cleansing workout to steady those pre-wedding jitters. Villa Alegria can also be used for events surrounding your wedding. How about an outdoor rehearsal dinner — fresh grilled seafood on the terrace under the Caribbean night sky perhaps — or a bridal luncheon or a morning- after-the-party brunch. Whatever your needs, we will work with you to take care of all the details. Need more than one villa to accommodate your family & friends? 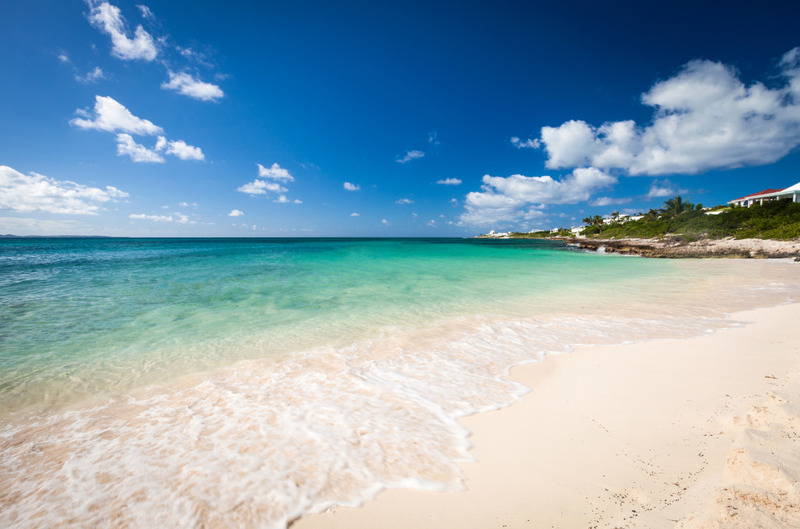 Just a one-minute walk down a paved path to one of Anguilla's prettiest, sugar sand beaches. Snorkel, swim or sunbathe! 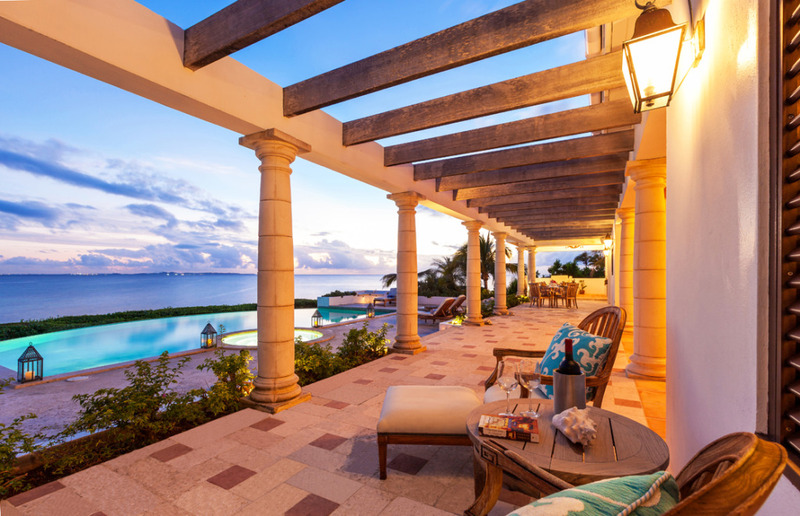 “We truly enjoyed Anguilla and this amazing home. The views are spectacular and the house is both luxurious and comfortable. A first class property all the way." 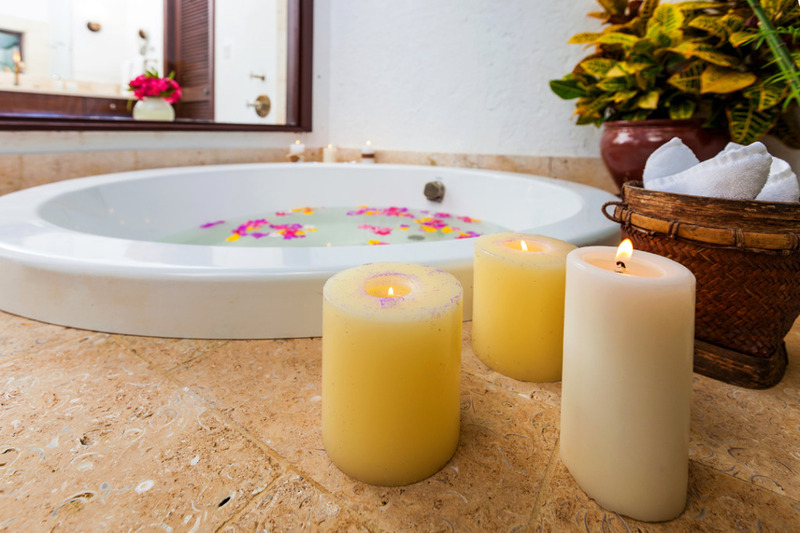 For even more indulgence, our concierge can arrange in-villa spa services. Once your reservation is booked, we will connect you with our concierge to plan your stay, including transportation assistance, optional services and any special requests. Michelle will greet you at the villa and is available on call throughout your entire stay. We can do the cooking for you! Choose one of our optional private chefs to cook for you in the gourmet kitchen or outside on the outdoor grill. Or order a ready-to-serve meal to be delivered to Villa Alegria.